Not every adoption is happy. Even happy adoptions are traumatic. 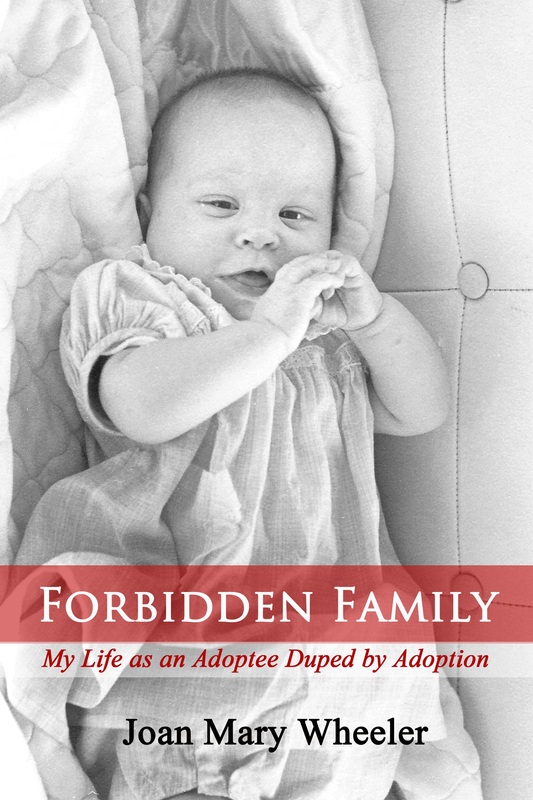 I am thrilled to announce the Kindle edition world release of my memoir, Forbidden Family: My Life as an Adoptee Duped by Adoption on Saturday July 18, 2015. Raised as an only child of my adoptive parents, when I turned 18 in 1974, I was found by full-blood siblings I was never supposed to know. Less than a year later, I joined Adoptees’ Liberty Movement Association and began researching and writing about adoption. All the while, my adoptive family and natural family opposed my activism. Please join me in my journey by picking up your copy of Forbidden Family: My Life as an Adoptee Duped by Adoption today at one of the Kindle online stores listed below. Play will take place today and November 23 in New York City. I’ve seen it in San Fransisco in April, twice. I highly recommend it.